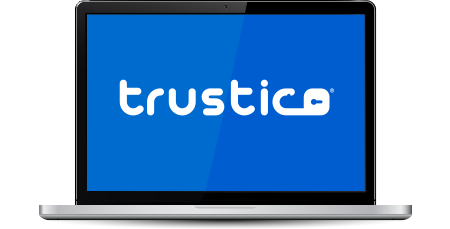 Trustico® Single Site Certificates from Trustico® is the perfect SSL Certificate choice for websites that have low transaction volumes and collect minimal user data. Great for blogs, online business startups and personal website pages. Trustico® Single Site Certificate is an entry level Domain Validated SSL Certificate. Once you validate ownership or control of the domain you wish to secure, your Trustico® Single Site Certificate will be issued instantly and you can secure your website in just minutes. Your website will enjoy instant credibility and trust, thanks to the Trustico® Single Site verification seal which instantly informs customers that your website uses strong SSL encryption to protect confidential data. When you buy a Trustico® Single Site Certificate you can be confident that your SSL Certificate will be trusted by all modern devices and web browsers. Great News! Your SSL Certificate will be issued by Trustico® using our fully automated fulfillment system. Trustico® are a leading SSL Certificate Provider. Our pricing structure for Trustico® Single Site is well below the recommended retail price. Buy for multiple years and the cost of Trustico® Single Site works out to be excellent value at its lowest price of only $62.84 per year. Our unlimited reissuance policy for Trustico® Single Site means that we will reissue your Trustico® Single Site Certificate free of charge for the life of the SSL Certificate validity, for any reason. Trustico® Single Site can be installed easily on any server that supports the use of an SSL Certificate. Trustico® includes the added benefit of Unlimited Server Installation licences and a $10,000 warranty.